Everyone loves the Summer Fair or Village Fete. A few simple competitions for kids can really add to the fun! You can either run these competitions as specific mini fundraisers for kids. Charge a reasonable fee to enter with the chance of participants winning a prize. They are however equally good as an extra attraction at your Summer Fair and a great way of encouraging families along, hopefully to spend money on all your other fundraising stalls. Life really does not have to be complicated. 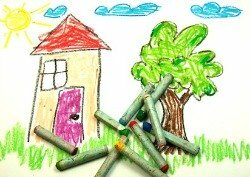 A simple picture competition is an easy win and something that most kids can do without help. You might like to keep the subject open but it often works well to have a theme. This could be something like a picture based on any song title. Is there an event you could link it to such as The Olympics. 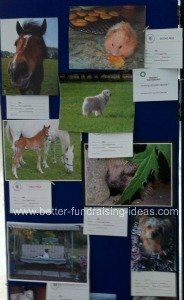 Another option is to link the theme to the cause you are raising money for ie pictures of dogs for the Rescue Centre, pictures of local landmarks or buildings to raise money for the village hall etc. Any fruit or vegetable can be turned into something far more exciting with a little effort. 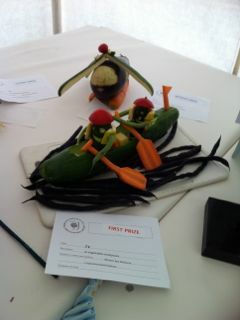 We love the carrot paddles in this cucumber canoe! Bring on the egg boxes, loo rolls, cereal packets and sticky tape! This is a popular competition for anyone with a bit of imagination (and often helpful parents). Kids take a paper plate and then use moss, bark, soil, small stones, twigs etc to make a mini garden. Handbag mirrors make great little ponds and lolly sticks can be used in all sorts of ways. Plasticine or modeling clay makes a good base for anything that needs to stand up. Up to you if you allow the addition of small plastic figures and animals. Can you design the perfect place for "rodent relaxation"? 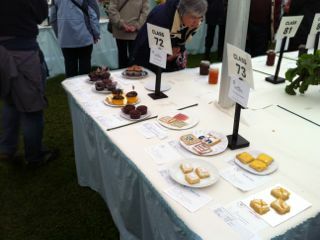 The competition can be on taste, or on interesting icing and decoration. How many things in a matchbox? This is very simple fun. 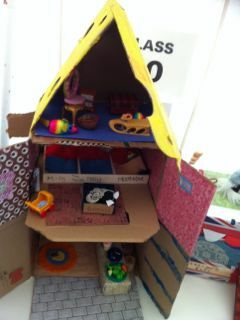 And is a great competition for school fetes. In advance kids try to cram as many things as possible into a normal size empty matchbox. 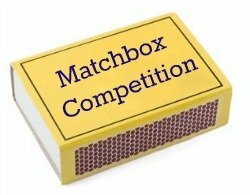 There are only 2 rules: The matchbox must be able to close properly and you can only use any item ie a coin once. but what else could you come up with? Its best not to get too hung up on judging and prizes. Simple certificates and a little Summer Fair type prize are usually fine. Always take age into consideration with kids competitions. You can use a judging panel from suitable people from your group. Another option that works well in certain situations is to let the public vote with their spare change. Place a jam jar or bowl in front of each of the exhibits. The piece that raises the most funds for your good cause wins. Having bags of pennies ready that people can buy from you for voting can actually turn this voting into a lot of fun in itself - and bring in some extra cash! 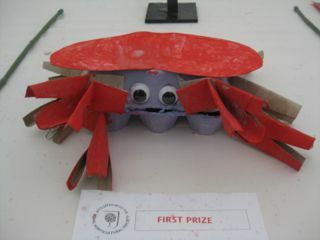 Do you know any ideas for kid's competitions we could add to this page. Or did you come up with a great idea for your own Summer Fair? Please send them in to us. That great fundraising idea from your village fete could end up helping good causes all over the world!